Following the launch of the review of paediatric critical care and specialised surgery for children in October 2016, Dr Gale Pearson shares an important update on the progress so far. Since the beginning of the year we have been working to identify and understand the issues facing paediatric critical care and specialised surgery in children in more detail so that improvements can be made for the benefit of patients. We held several engagement events between January and March 2017 – bringing clinicians and experts in paediatric critical care together to discuss the areas they see as the greatest challenge facing services and to get their ideas on how things could be improved. This has helped us to think about how a proposed new model of care could be developed in response to these issues, while also looking at existing data on paediatric critical care which highlights the pressures on critical care services. There are seasonal peaks in demand for beds and emergency transport services, particularly during November and December, which are largely driven by unplanned respiratory admissions from children under one year of age. A small number of children account for a large proportion of resources. The data shows that 10% of children admitted to paediatric intensive care units (PICU) use more than half of the resources. We need to think about how a proposed new model of care could be developed in response to these issues. The data and analysis in this pack will be used as the review develops its proposals for a future model of care and tests its emerging thinking with a wide range of stakeholders, including NHS England and CCG commissioners, providers, clinicians and patients and their parents and carers. This will include discussions about the best way to deliver extracorporeal membrane oxygenation in future. We would really welcome your comments and feedback on the analytical pack. They can be sent to england.paedsreview@nhs.net and will be taken into account when decisions are taken as the review reaches its conclusions. You can also use this email address to ask to be kept informed in the review’s developments, or alternatively please visit our website for more information on opportunities to get involved. Dr Gale Pearson has been an intensive care consultant at Birmingham Children’s Hospital since 1995 and was involved in the preparation of the policy document on paediatric intensive care ‘A Framework for the Future’. He is a former chairperson of the Paediatric Intensive Care Society and was involved in setting up the national audit PICANet. He was also a former National Director of Confidential Enquiries in Children at The Centre for Maternal and Child Enquiries (CMACE). 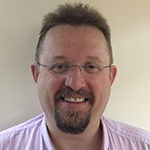 Dr Pearson is the current Chair of the National Clinical Reference Group on Paediatric Intensive Care at NHS England.